Konami Digital Entertainment will release two Yu-Gi-Oh! 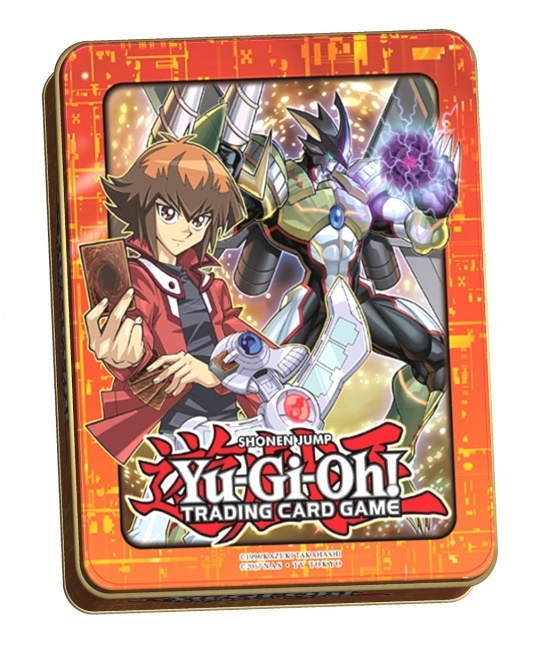 Mega-Tins this summer that include cards based on Decks used by Jaden and Yusei, the heroes of Yu-Gi-Oh! GX manga and Yu-Gi-Oh! 5Ds animated series. 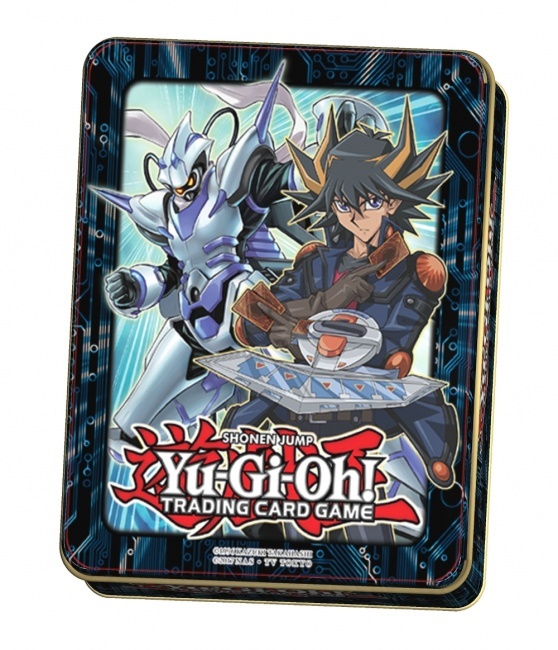 Each 2018 Mega-Tin will include three 16-card Mega-Packs containing cards from Maximum Crisis, Code of the Duelist, Circuit Break and Extreme Force releases. Also included are non-randomized variant cards and a unique card designed for each tin, based on the Decks of Jaden and Yusei. Jaden�s card will be a new �Elemental HERO� Contact Fusion card, which can refill a duelist�s hand, negate a card�s effect until the end of the turn, and banish everything on the field. Yusei�s card will be a new Synchro Monster that fills the field with Tuner monsters, and can double its ATK when battling a monster the same turn it is Synchro Summoned. The tins will release on August 31. MSRP is $19.99 each. Each case contains 12 tins (6 of each of 2 tins).